In a statement released today Kilkenny-based Glanbia plc confirmed that it does own companies in Luxembourg which are part of inter-group financing arrangements. The moves comes after leaked details between PwC in Luxembourg and its tax authorities as reported in The Irish Times today. It reports that Glanbia set up its first Luxembourg subsidiary in 1997, the same year Avonmore plc and Waterford Foods plc merged to become Glanbia. 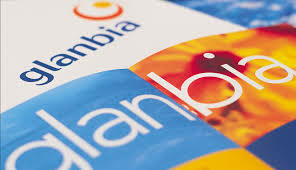 The reports suggest that the move allowed Glanbia to reduce its overall tax bill. Headquartered and managed from Ireland, the Group employs over 5,000 staff and has sales or operations in over 130 countries worldwide. Glanbia said today that it seeks to be internationally competitive, allowing it to grow its business, invest behind its brands, in innovation and in production facilities, as well as expand its Group through acquisitions and strategic capital investments. It said as disclosed in our Annual Report, in 2013 Glanbia had an effective corporation tax rate of 17% on its worldwide earnings. The majority of the Group’s 2013 corporate tax payments were made to the Irish exchequer. The Group is tax compliant in all of the jurisdictions in which it operates. However the statement did confirm that Glanbia has group companies in Luxembourg which are part of inter-group financing arrangements underpinning our international operations. It said they are clearly identifiable as Glanbia companies and he Group is cognisant of its obligations under Irish and international tax law and is fully committed to compliance and reporting requirements in all jurisdictions in which the Group operates.